The Desultory Theatre Club is more than just a production company. Operating throughout CT, we create and collaborate on experiences that showcase the arts and all kinds of events. 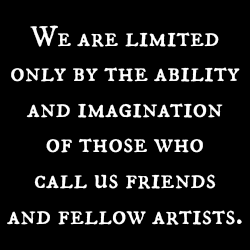 We specialize in bringing an eye to artistic spaces, 8 years and going, supporting local arts scenes.